Thesis, also known as ‘The Van Iperen Group’, is specialized in the development of innovative solutions for the agricultural sector. Our goal is to facilitate growers in gaining the highest possible cultivation level with their crops. We aim to be specialist in the field of plant nutrition in any crop and in any place. Thanks to our sophisticated chain-approach, we have become a leading international specialist and supplier in the agricultural sector. 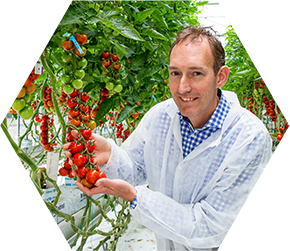 Van Iperen is a leading supplier in the Dutch agricultural sector. The companies advise growers on the application of fertilizers and crop control products in order to grow vital crops and increase yields. 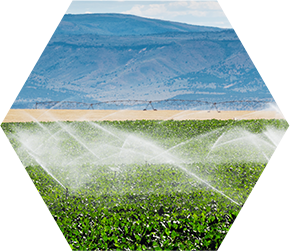 Van Iperen International offers a complete portfolio of specialty fertilizers for fertigation and foliar application to agricultural distributors worldwide. With a sophisticated marketing approach, Van Iperen International helps businesses grow, whether it concerns growers, distributors or producers. Euroliquids is a dynamic production company producing a wide range of liquid agricultural and horticultural fertilizers and industrial chemicals. Bespoke solutions, high quality and flexibility are at the heart of the way Euroliquids works. At TTD the possibilities for handling bulk and general cargo are huge: from the purchase and design of bags and pallets to blending, packing and the shipment of fertilizers. Customers have the option to use all services within the total supply chain or a section of it. The mission of Thesis is to develop and deliver high quality and sustainable concepts for the growth of crops, taking into account the increasing world population, source scarcity, volatile markets and stringent regulation, acknowledging that ongoing vertical integration is necessary. We foresee that crop fertilizing will become crop protection in our market. With sophisticated plant nutrition strategies, crop protection becomes less necessary, although it is not rendered superfluous. Thesis aims to be the leading company in the field of global innovative crop cultivation. We take the grower and his crop as our ultimate point of departure.